Hoo You Lookin' At? 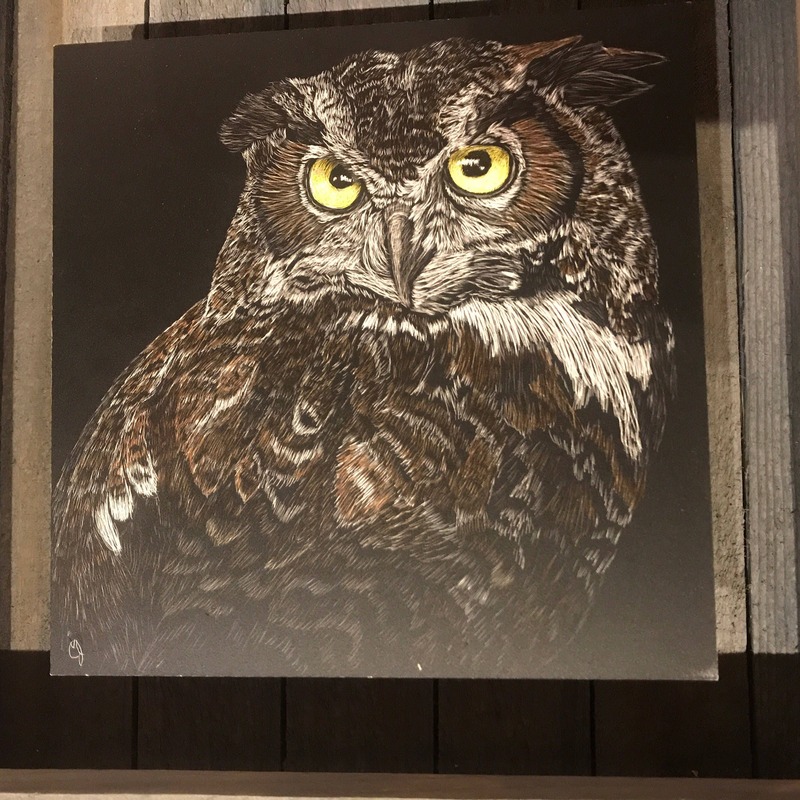 Great horned owl scratchboard! 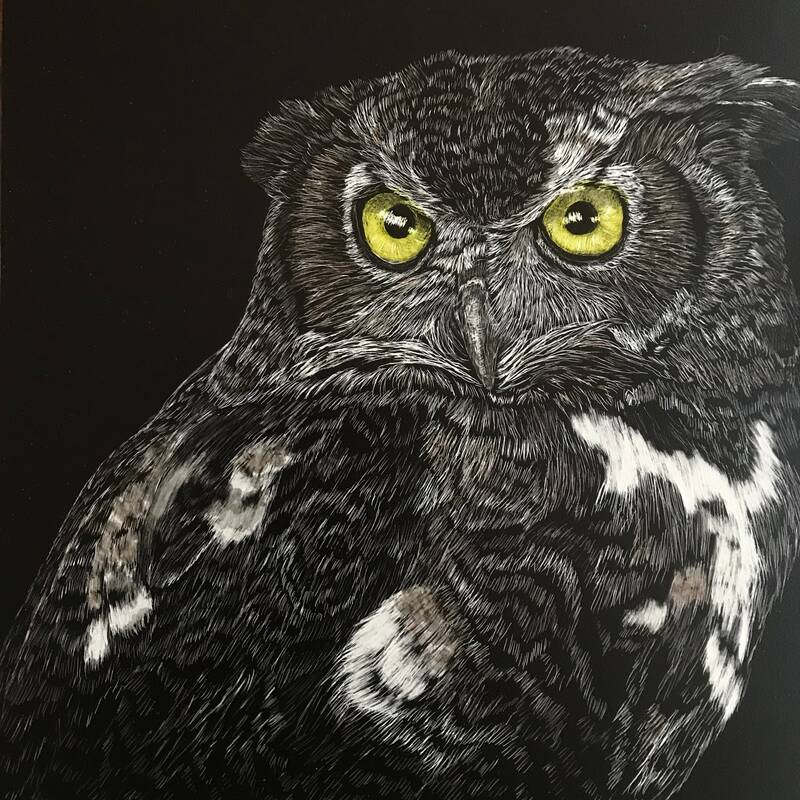 This hand etched scratch board is made of very fine lines with sharp implements. These lines are scraped into a hardboard covered in india ink and white clay. Each scratch through the ink reveals a bit of white clay, rendering the image shown. These handmade pieces of art take hours to make. Each board is completely unique as a result! 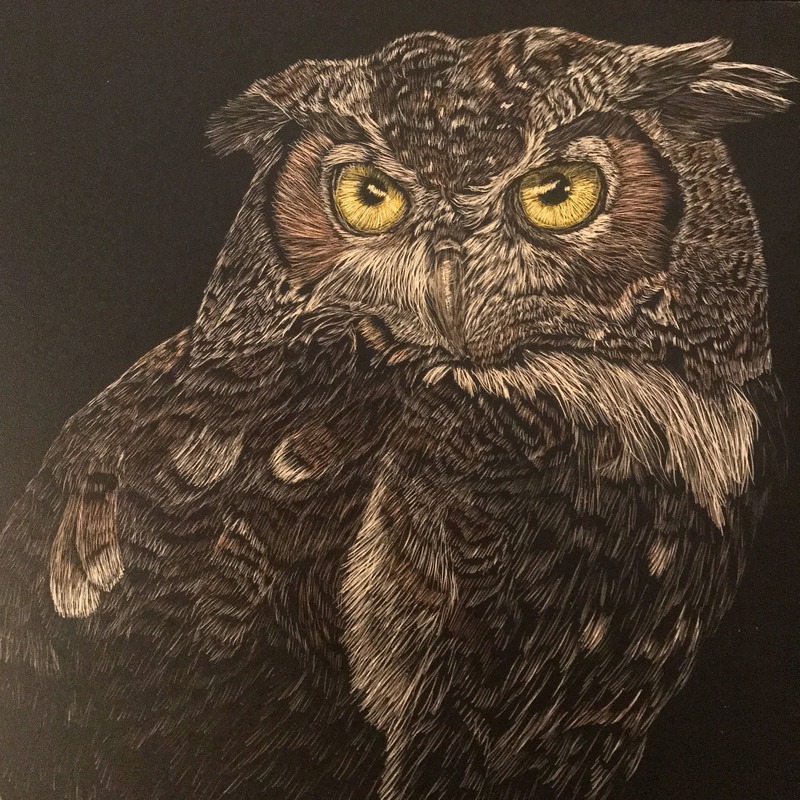 This great horned owl is on a 6 inch x 6 inch square scratchboard. 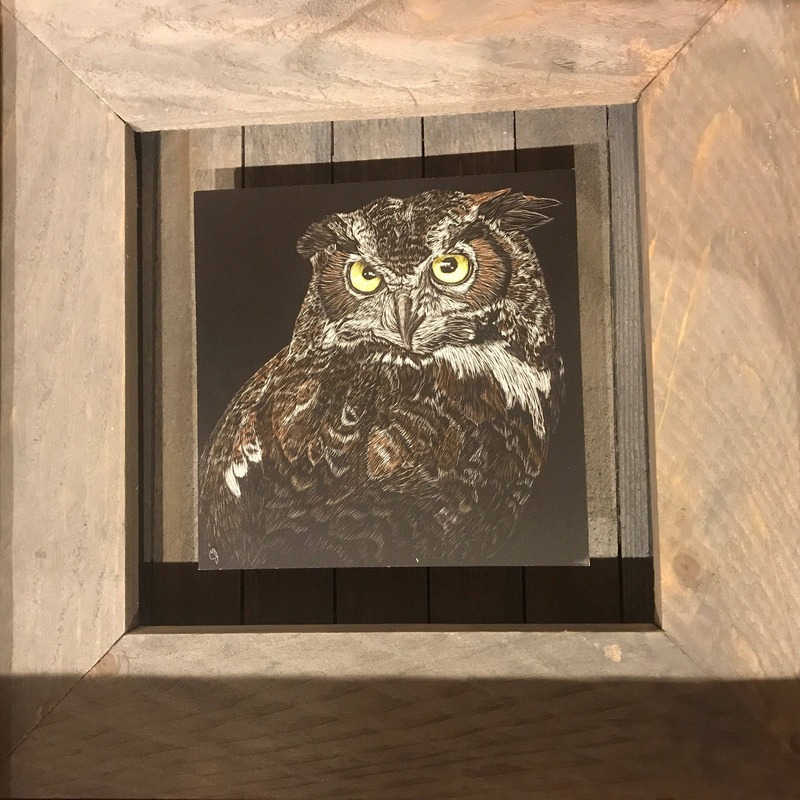 Add a frame -- see options on this listing!